On Monday, May 7, the County Council sat as the District Council to consider certain zoning applications. The District Council voted to remand the Ernest Maier Concrete Batching Plant application to the Zoning Hearing Examiner because the record before the Examiner lacked certain evidence to issue a final decision. By law, Council Members may only consider evidence in the record to issue a final decision. A person of record may not communicate to a Council Member during the pendency of a zoning application. Any such communication is deemed outside of the record and it will not be considered in making a final decision on a zoning application. 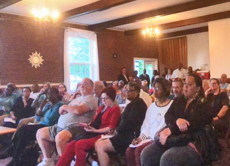 The County Council held the final evening public FY 2019 Budget hearing on Monday evening, and a standing-room only crowd filled the Council Hearing Room. Nearly a hundred residents, including a host of young people, provided testimony. After hearing public testimony on the budget on Monday evening, the Council convened Tuesday morning to discuss legislative matters. On Tuesday, the Council’s Health, Education, and Human Services Committee held a budget work session on the Health Department, Department of Social Services, and Department of Family Services proposed budgets. The Committee of the Whole held a budget work session on the Board of Education’s Operating and Capital Improvement Program proposed budgets, as well as the proposed Prince George’s County Capital Improvement Program Budget. Prince George’s and Montgomery County lawmakers, convening their annual Bi-County Budget meeting on Thursday, May 10, 2018, adopted the budgets for the Washington Suburban Sanitary Commission (WSSC); the bi-county portion of the Maryland-National Capital Park and Planning Commission (M-NCPPC); and the Washington Suburban Transit Commission (WSTC). Prince George’s County Council Chair Danielle Glaros and Vice Chair Todd Turner also presented a proclamation to WSSC General Manager Carla A. Reid, recognizing the 100th Anniversary of the Washington Suburban Sanitary Commission. The County Council presented legislation on April 24th, by request of the Planning Board, to officially begin the legislative process for the Zoning Ordinance Rewrite. Several Committee of the Whole work sessions have been scheduled, and these meetings will accept public comment. 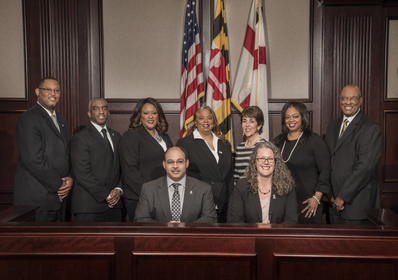 The first work session takes place on Monday, May 14th, at 7:00 p.m. in the Council Hearing Room, First Floor, County Administration Building, in Upper Marlboro. Residents are encouraged to provide feedback. For more information, including details about how to sign-up to speak, please visit the Council's Zoning Ordinance Rewrite Portal. Congratulations to the Prince George’s Business Roundtable, a non-profit, non-partisan business alliance of Chief Executives, which celebrated its 15th Anniversary during a luncheon on May 10th. Chair Glaros provided remarks during the event, attended by Prince George’s County Council Members and many other officials.